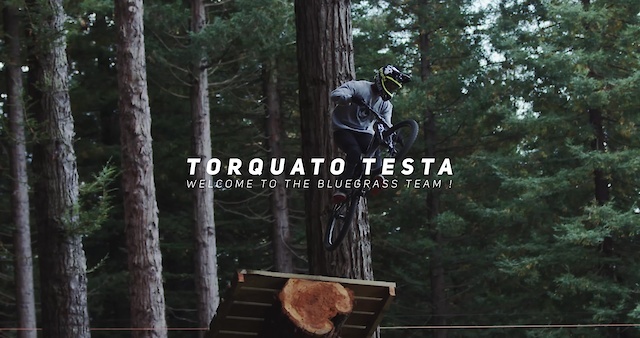 We are delighted to welcome a new rider to the Bluegrass family, Torquato Testa. He will tackle Slopestyle events around the world, on the hunt for the best airborne trick possible. To celebrate his arrival and his style, we are pleased to present a brand new video edit. I bought one of them as a display model recently and their Safe-T Advanced retention system loosened itself every few minutes. So I returned it and got a new one. Great customer service. It was marginally better, but the new helmet still had the same problem. Brushing the small dial with the cuff of my jacket was enough to set off the ratchet and the helmet loosened. And when I tried to adjust the height of that mechanism, the nib that holds the mechanism into place broke off. I tried adjusting the height on the first helmet as well, used the same amount of force and nothing broke. Fed up with it I returned it again and got my money back. I've got a 2016 Troy Lee A1 now and I couldn't be happier. well its about time!!! glad to see this dude pick up a major sponsor. Did anyone else find the music at the end had them thinking he was about to crash?